Economic sanctions are supposed to be used as a last resort to end a pattern of harmful behaviour undertaken by a government—usually as a deterrent to armed conflict and human rights violations. Currently, Canada has imposed sanctions against 19 countries worldwide, including Russia for its role in supporting separatism in the Ukraine, North Korea in response to missile tests that have been ongoing since 2006, and the Syrian government for its use of military weapons against its own people. In circumstances like these, economic sanctions make sense and can lead to positive changes when imposed rationally and purposefully. But in Alberta, the same measure used to deter criminal activity and violence against oppressed citizens is now being used to put pressure on the B.C. government to remove restrictions on the Trans Mountain pipeline project. On Feb. 6, the Alberta NDP declared that they are banning B.C. wine imports to the province until the restrictions are lifted. According to the CBC, sales of B.C. 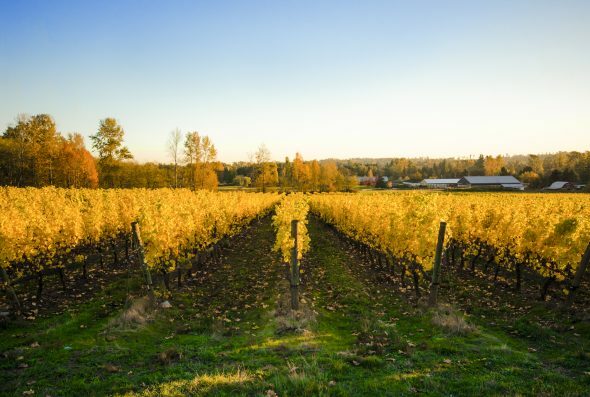 wine in Alberta liquor stores netted wine industry in our province about $70 million last year, which is peanuts compared to the $7.4 billion construction and development price tag on the Trans Mountain pipeline. The disparity between these two numbers is enough to show that this decision was not really intended to have any substantially harmful economic impacts. The decision appears to be made out of desperation as an appeal to the malcontent base of voters who are tired of having the pipeline delayed. Somehow, these people believe that this amateur, high school Model UN-level punitive sanction nonsense is actually going to accomplish something productive. The classic “Now look what you made me do!” tactic is a shrewd negotiation method normally employed by children throwing tantrums on the floor of the toy section in Walmart. Add a weak attempt to scapegoat the federal government and a textbook conflation of “Alberta’s interests” with the profit margins of a single oil and gas developer, and we have a ready-made press release for appeasing the voting population that wants to make Alberta great again—one neglected bottle of B.C. merlot at a time. It’s an ironically anti-capitalist decision to enforce, and a silly attempt to screw over a bevy of smaller companies in order to serve the needs of Kinder Morgan, a large multinational corporation. This shows us just how deeply embedded the oil and gas industry is in the Alberta government. The fact that the Alberta government is compelled to act on behalf of fossil fuel business interests and use its legislative power to bully a completely unrelated industry in another province should come as an alarming affront to anyone who believes in the principles of a free market.